Close your eyes and imagine sitting down and getting comfortable in front of your favorite movie in your favorite theater. Comfortable chair, favorite snacks in hand, and incredible graphic and audio quality. Or, if you prefer music over movies, then keep your eyes closed and imagine your favorite venue with your favorite band on stage. Everything about this scene spells chilled and relaxed, the exact thing you need to wind down after a long week. Now, open your eyes to realize that this experience is made possible and just as fulfilling in your very own living room! With a state-of-the-art home audio/video system from Audio Video Solutions, you can gain every bit of satisfaction from your preferred mode of entertainment without having to leave the comfort of your own home. Whether you enjoy throwing parties or simply want the ability to sit back and enjoy some solitude as you watch and listen, our home theater systems are designed to take your entertainment experience to the next level. We know that your screen and speakers will become the central gathering spot for family and friends, whether on special occasions or on a nightly basis. There is always someone in the house who is in the mood to catch up on their favorite show or listen to that new album that just came out. 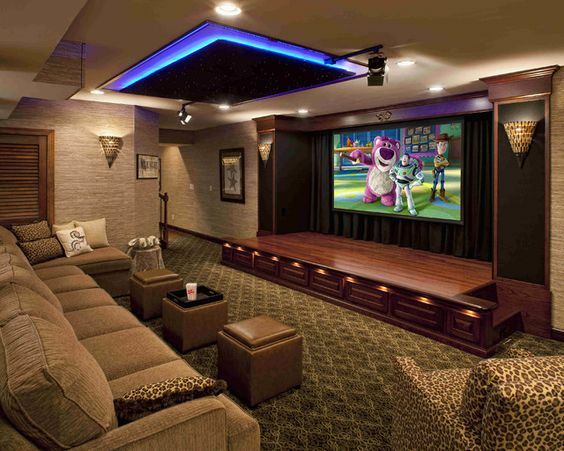 With a professional system in your home, you can meet the entertainment needs of your family members and guests while keeping them under your roof. No more seeing your kids constantly want to leave out for a friend’s house to watch the game or just hang out. Your home will become “the spot” where everyone wants to be, and you can thank your home audio/video system for that added quality time spent with your loved ones. At Audio Video Solutions, we go out of our way to provide exceptional service. We’re passionate about home systems and entertainment, and we’re up to date on the latest options available. When our customers ask specific questions or request certain types of detailed systems in their homes, we guarantee that we will listen and stick with it until you are satisfied with your end result. Our goal is to listen well, help assess your needs, adhere to your budget, and install the home audio/video system you’re looking for. We are not in the business of doing things half way, and we know that our customers will not be pleased with anything less than their dream. If you are going to spend the time and money on installing a system in your home, then you want a space that suits your style and brings you relaxation. Let the music play and the videos roll. Call Audio Video Solutions now for more information about our home audio systems or to request an estimate.